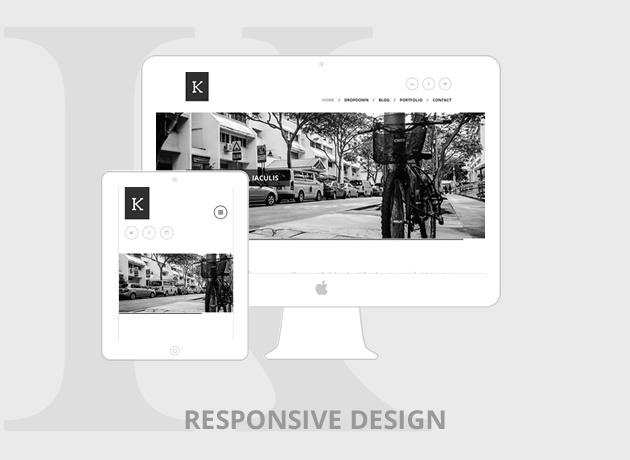 Kimbo is a responsive, clean and elegant theme. You can use this theme for your company or business website, personal portfolio or to showcase your products in a very easy and attractive way. Kimbo is tested through multiple devices, be it a desktop, notebook, tablet or mobile phone, Kimbo comes with a fluid layout that adapts well across devices. Kimbo comes with a very attractive header slideshow and a set of featured posts or pages in the home page. This will help display your most interesting content in a very attractive way, be it your services or products. 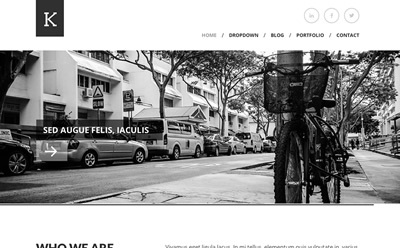 Below that you can have your blog, a static page or even your portfolio, combined with three optional widget locations. 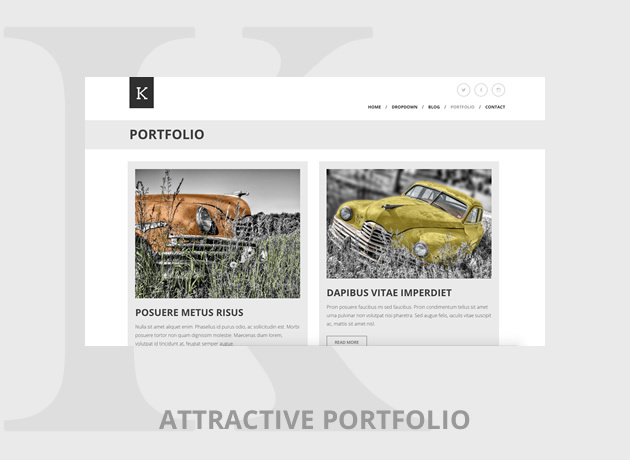 Kimbo comes with a clean masonry style portfolio page template that will be very useful to showcase your products, services or art. Add links to your Social media accounts easily with the integrated Social Media menu. Kimbo comes loaded with 28 social media icons to have your visitors connect to you. Kimbo comes with three widget ready locations to help you add some extra info and functionality to your website. Child theme is the recommended way to modify your theme. Kimbo enables you to create and activate a child theme with just one click. Translation ready, .pot file included.